Welcome to Lovecats, Rae and a congratulations on the fabulous reception your debut book Love at the End of the Road. Can you tell us a little about what it is about? It’s the story of my life after meeting Rex Roadley, a beef and sheep farmer, through a dating service. After driving miles down a windy road, I found his historic home, Batley House, on the shores of the Kaipara Harbour in Northland, New Zealand. Rex was more difficult to find - he was out fishing! The book is a memoir which it covers our lives together, farming, life at Batley before and after European settlement, the house and our community. It’s a very honest, open account of your life. Was it hard to write about yourself so personally? Very difficult, but I knew the story of our relationship and my life as I adapted to rural living would engage readers. I worked in an upstairs bedroom or the terrace overlooking the harbour. Your book reminds me of Under the Tuscan Sun. Clearly you fell in love with the man, but it seems you also fell in love with the house and the area. Is that right? I thought Batley House was big and cold, but was soon enchanted. In the late 1800s, it was the area’s social centre. The local people were welcoming and I soon got involved, even judging a Young Farmer of the Year event. 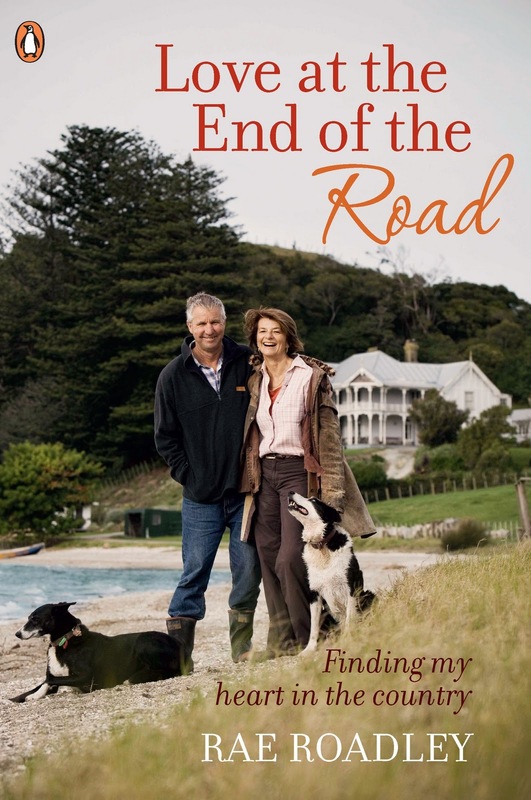 The book combines a love-story with re-inventing yourself, house renovations, the history of the Kaipara, and life on the farm and in a rural community. How did you achieve the balance with all these themes? I wanted the story to be engaging and compelling. I wove other aspects through our personal story, aiming for light touch. When I found ‘chunks’ of one colour, I shuffled text until the story was balanced. I was determined the history would be readable and worked hard to include it in a natural way. Rex is gorgeous – archetypical Kiwi male all the way through - so how has he coped with suddenly becoming the hero of a book that’s leaping off the shelves? He is gorgeous - I’m glad you spotted that. He’s been great, droll as ever. When Tessa Chrisp, the amazing photographer who did the cover shot, he knew what he wanted to wear while I dithered. He’s funny and relaxed which makes him a great character in the book, which he read as I wrote it. During the Your Home and Garden photo shoot, he sat at the head of the dining table drinking coffee while the stylists fluffed around making it look fabulous for the Christmas issue. Can you tell us a bit about the process of writing this book? Penguin gave me the idea after I’d submitted some of my newspaper columns. As I wanted the book to be fun to read, I did an online course at NorthTec - I couldn’t back out. As part of the course, I had a mentor and reviewed 10 books in my chosen genre, figuring what worked and what didn’t. 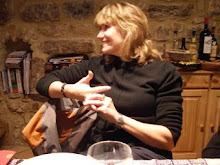 I reviewed books by Bill Bryson and James Herriott as well as Living with the Laird by Belinda Rathbone. NZ titles were Weather Permitting by Heather Heberley, and On the Wings of Mercury by Lorraine Moller. 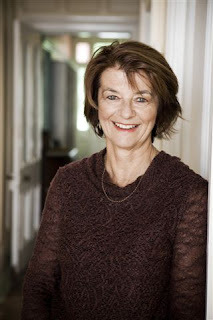 Others worth reading are Susan Duncan’s, Salvation Creek (it’s Australian), plus The Guernsey Literary & Potato Peel Pie Society by Mary-Ann Shaffer, quirky, delightful fiction. You’ve struck gold with your first book. Are you an overnight success? The answer is no! I’ve worked in public relations and have a journalism qualification. I started creative writing in the 1980s and have belonged to writing organisations for years, among them Romance Writers of NZ. Last year Penguin saw my book and wanted more, I was runner-up in a story contest, then my single-title novel rated in the Clendon Awards. After the book launch, people contacted me to say they’d loved my book, that it had made then laugh and cry (don’t worry, I don’t think everyone cried). That’s when I finally relaxed. Why do you think it’s hitting a chord with so many readers? I think the issues I’ve faced resonate with people: my mum died when I was 19 and I lost my way in life and love - and found it again; after meeting Rex I took a plunge into a new life - and survived; the book shares heartbreaks and breakthroughs. It’s funny and honest. Several people at Penguin said it read like fiction, which, as you say, hits a chord with readers. Please feel free to ask a question or leave a comment and be in to win a copy of this heart-warming book. I grew up in Zimbabwe but after some years of travelling I came to New Zealand where I now live with my family in an idyllic bay with a mountain at my back and a harbour in front of me. This books sounds fantastic it must have been wonderful driving up that road and seeing the house for the first time and then having to find Rex out fishing. Rae, your book sounds fascinating. I'll be looking out for it. The Kaipara Harbour is a lovely area. My uncle lived there for years and always brought us lots of fish. I'm enjoying your book very much - it's sitting on my bedside cabinet. Hi Sue - the fish are amazing - flounder, mullet, snapper... and scallops at the mo - it's the season. Lucky uncle - and lucky you! I like your highlighter balancing system - and the reasons for your colours. It's a great way to see what's on your page. I'll add your book to my Christmas list, Rae. It sounds like a book I'll love. I'm starting to know my way around New Zealand and Australia a bit on Google Earth. Now I'll have to find your bay. Thanks for a great blog Zana and Rae. Rae your dogs are beautiful. One of the features that we never miss at the Calgary Stampede is the sheep dog trials. The dogs are amazing and so well trained. What a gorgeous story, Rae, and the book looks like the perfect gift that would appeal to all sorts of people (I'm thinking of a few on my list right now! - and who doesn't love a real romance?) Fabulous cover too - I just skipped over to the website - I want to read that book now. All the best for it, Rae. What's next? Fab interview, Zana and Rae! I love the sound of Love At The End Of The Road! I think the blending of a love story with all those other elements -- reinventing yourself, house renovations and history -- will make for compelling reading. I'm really looking forward to curling up with your book, Rae. So pleased you found time to visit the LoveCats! HI Rae, good buddy. So thrilled for you. 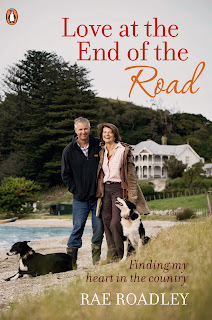 But I want to know how you managed to have a last name like Roadley and a book title about the end of the Road. Reckon the whole thing - the man, the house, the book - was always meant to be. Hello everyone. Great to see the party has been in full swing while I've been working. Isn't Fate/Destiny interesting, Jenn. It really does all come together nicely, doesn't it - names, themes etc. Gotta love a man who loves dogs, cats and chickens! I must read this book! Great interview. Rae, what a stunning house. I'm not surprised you had to include its own story within your book. Not sure I could write about myself like you have (but I love to read others journeys *grin*). Welcome to the LoveCats, Rae! Great interview, Zana! Rae, your book sounds fantastic with the different stories woven through the pages. It's going on my Xmas wish list! What a great way to meet the love of your life - I'm looking forward to finding out more! But I still think you're incredibly gutsy driving all the way down that winding, country road to meet someone you didn't know for the first time! Rae, your story sounds wonderful and the photo on the cover is stunning!! Look forward to reading your book and congrats on its release. A real life HEA. I'm loving this. How wonderful to share your story with others. Brave too I think. I think the publishers showed how much faith they have in your book by the way they made it look so beautiful. They've done a lovely job of it. OMG Rae, Rescue Remedy comes in lozenges now! LOL I discovered them before conference last August. Great for pitches. Zana, thanks. Yes, Penguin sure invested in it - I was amazed and delighted - and I've been working with a great publicist, Sarah Thornton, who's now freelance having headed the Random House team. She's achieved clever things, with more to come. Thanks so much for hosting me on Lovecats, Zana, it's been fun. I'd just like to thank Rae for coming onto Lovecats to share her life and her writing with us. I think everyone has been bowled over by both by your honesty and your courage in producing this lovely book. Great interview! This book sound fabulous and I would love to read it. I love reading books like this they are so heart warming. Thanks for sharing your book with us today. Thanks for joining us here, Rae! Those books are some of my fave reads. I look forward to reading yours. Congrats on the success!!! Thanks Lovecats, for your kind words and generosity. A fun day, and check out Margie Lawson's online courses - her highlighter method works. Big thanks to Zana, who invited me to blog moments after we'd met. In my article about promotion in the December 2011 Heart to Heart, RWNZ magazine - Lovecats gets a mention - of course! Thank you all! Rae. Very interested to read your book. I stayed there as one of those children of solo parents. I loved the place ,rowing around down at the beach and having sea food every Sunday for lunch. The First Time I Ever . . .
BLOG PARTY with PRIZES and FUN!